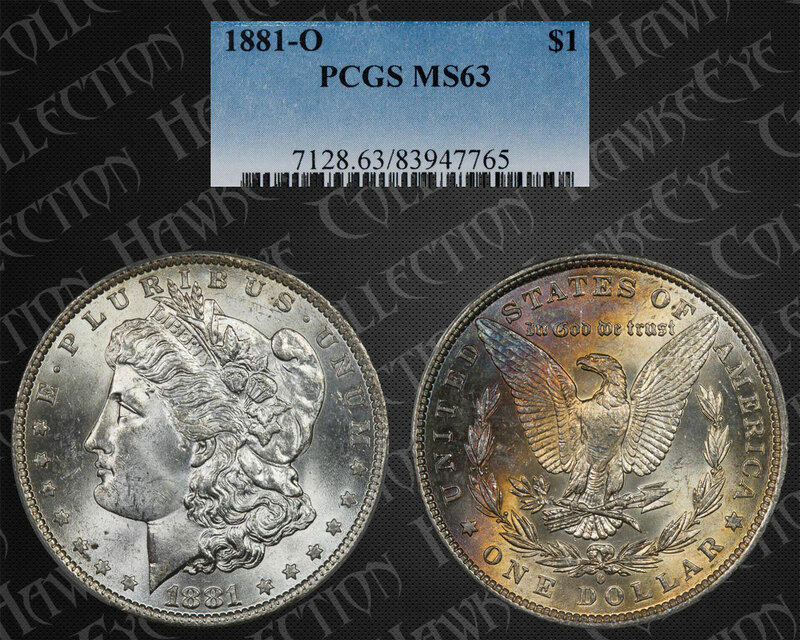 Comments: This is a somewhat marginal coin in our opinion and should be toward the bottom of the grade. There are a lot of marks on the cheek and chin that, while superficial, are numerous. But the fields are clear except for one carbon spot. 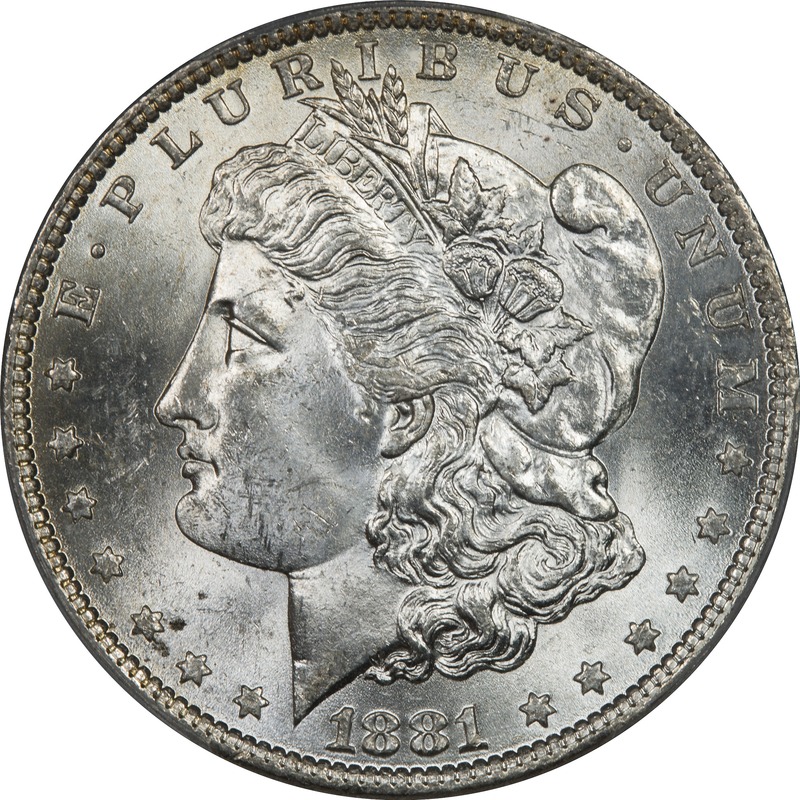 The reverse is really nice and deeply toned. VAM 50 is titled as only the double ear bottom. But there are a number of coins with that feature, with and without the title. It also needs to be coupled with pitting along the hair and jaw line to meet the definition. This just appears to be a darkly colored, bag toned coin. The crescent shape to the color and spectrum are indicative of bag toning. The coin was obviously exposed to a reagent like the bag and shielded from complete exposure by other coins. Even though dark, the colors are more indicative of the second cycle of color. 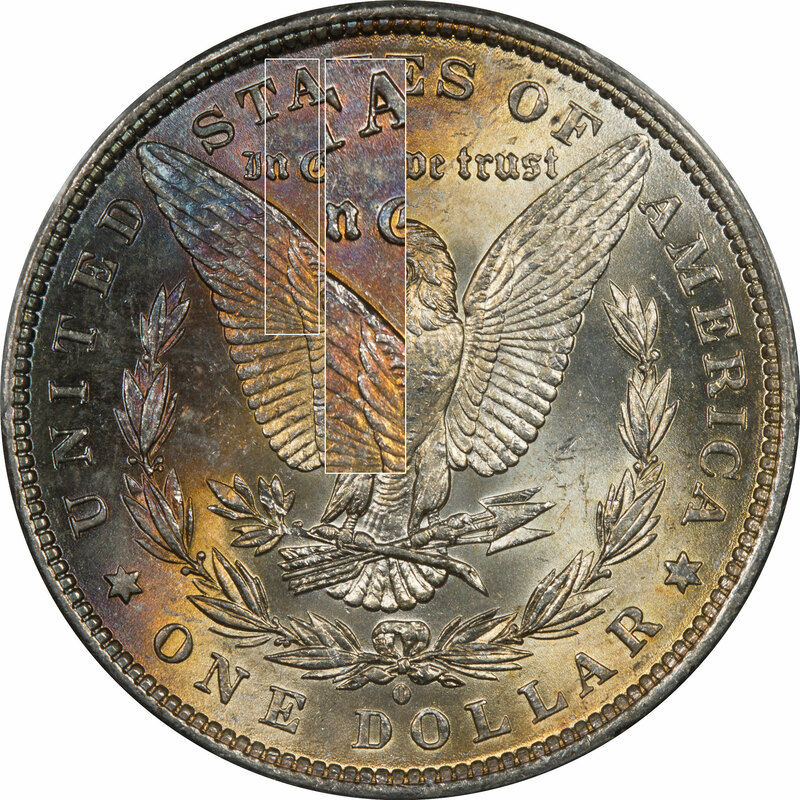 The sequence from yellow, to orange, to to magenta, and finally to magenta-blue are correct for a naturally toned coin.